Hint – These cards have a gold parallel. 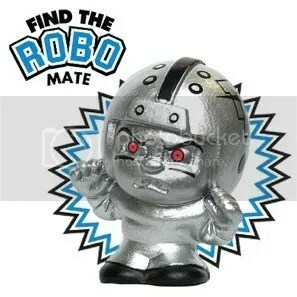 Congrats to zagrapanjc on being the lucky winner of the TeenyMates NFL Series 4 Collectors Tin. Once zagrapanjc sends me their mailing address, I will forward it off to the people at TeenyMates. They will ship your prize ASAP. Thanks! This contest is for a TeenyMates NFL Series 4 Collectors Tin. Inside each tin you’ll find (4) packs of Series 4 NFL figures, stadium display, and an exclusive referee figure. Each pack of TeenyMates comes with (2) figures and (2) puzzle pieces. Good luck!!! This contest will end Friday, October 30, 2015 @ 8:00 p.m. EST. Once the contest is over, I will need the winner’s mailing address so TeenyMates can ship out this collectors tin for FREE!!! Its no surprise that the TeenyMates people decided to put together another collectible tin product this year. Especially when it comes to their Series 4 NFL figures. Last fall, TeenyMates released their first packaged tin product with their line of Series 3 NFL figures. That tin became one of the most popular products that TeenyMates ever released. For some reason the production run was low, and they were eventually difficult to find. 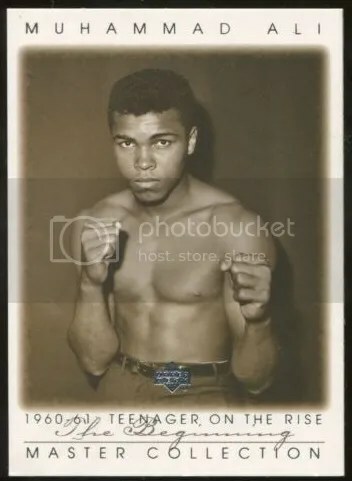 What once sold for around $15.00 skyrocketed to almost $100.00. Today those Series 3 tins have settled at $50.00 if still found sealed. 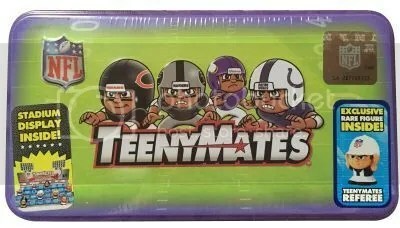 The Series 4 NFL TeenyMates tin is popular with collectors, but I highly doubt you’ll see it reach the price range of last year’s product. I’m sure production is up after seeing the popularity of Series 3. 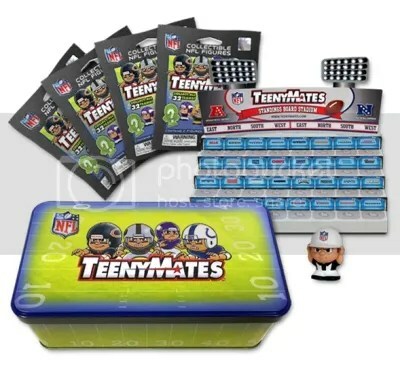 Inside the Series 4 NFL TeenyMates tin you’ll find a bunch of stuff. You’ve got a stand, (4) packs of Series 4 NFL TeenyMates, and an exclusive referee figure. All figures look like tiny linebackers. Rare figures to look for include Robomate (1:37), Glow-In-The-Dark (1:64), Seattle Seahawks Throwback (1:128), Crystal Ice Figure (1:171), Washington Redskins Throwback (1:256), and Metallic Gold Finish (1:512). These rare figures can command major dollars on the secondary market.